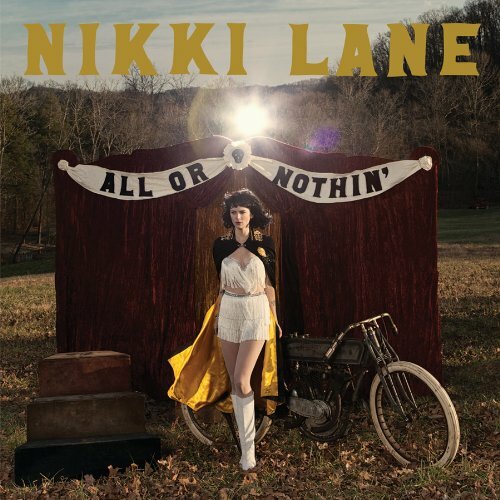 I can’t help but wonder, would calling Nikki Lane “outlaw country” have ever crossed NPR or Rolling Stone‘s minds if she didn’t wear vintage western country outfits or if the album’s first track didn’t include the lines, “I’ll knock on [Ol’ Willie’s] door and ask him for a toke // Just because, hell, we’re both outlaws”? It “outlaw” refers to a mindset, then maybe Lane, a South Carolina native, is an outlaw – but if it refers to the general sound first made famous by the 1976 album of that name, then no. This is a good album, but it is not outlaw country. Perhaps a little closer to the mark is the similarly named Baron Lane over at Twang Nation, who described the album as “Gram Parsons playing in a saloon in a Quentin Tarantino flick.” I think Parsons was twangier than Nikki Lane, but the rest fits. It’s tough to label this album — the title track is even a little bluesy — but “indie roots rock with pedal steel” might be the best description. Perhaps all that comes together as “alt-country,” maybe with “country rock” a distant second? This is why we tend to just label anything even remotely rootsy and non-mainstream as “Americana” and just get on with it! Labels aside, I do like this album. Lane has a wonderful voice – a high alto with an original mix of singer-songwriter husk and ’50s sugar. Her voice never has a weak moment, but it’s probably showcased best in the style of “Out of My Mind” and the range and speed of “Seein’ Double”. Unfortunately, producer Dan Auerbach (of the Black Keys) used vintage equipment to record the album, so she sounds kind of muffled and echoey the whole time. That could have been a neat effect in places, but used across the whole album, I think it detracts from the overall sound – but only a little. Lane’s voice still shines through. I also like the overall instrumentation balance. It’s the perfect amount of pedal steel (I do love me some pedal steel) and even a little fiddle for an album that wants to borrow from country without sounding like it’s trying to be something it’s not. 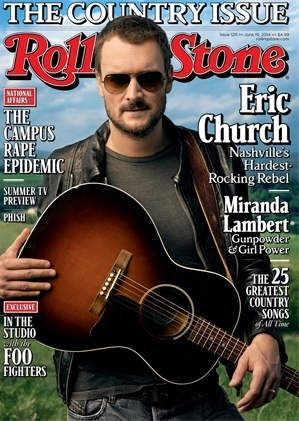 The album’s best feature, though, is Lane’s songwriting. She wrote or co-wrote all twelve tracks, and while none are truly breakout songs on their own, several come close. Closer “Want My Heart Back” has some great lyrics and piano riffs that really capture what it feels like to be post-breakup and ready, but still unable, to move on (the reviewer writes from experience). The first track, “Right Time,” does a great job of being mischievous and naughty without getting in-your-face or trite about it. So often those songs are just hackneyed, but Lane hits the right balance. Perhaps my favorite track on the alubm is the duet with Auerbach on “Love’s on Fire,” a song about a couple deeply in love and fighting like hell to keep from drifting apart while he’s on the road, a need she understands but laments. With Lane’s voice and the song’s melancholy context, the line “Won’t you sing me to sleep tonight?” preceding the chorus has a lot of power. 3.5 whiskey bottles out of 5, and I don’t blame anyone who gives it 4. I like it more every time I listen to it, and would bump the rating up a little if the vocal recording wasn’t so muffled/fuzzy. I don’t know if it will be heavy rotation for me, but if not, it’s only because I’ve been on more of a neo-traditional country kick lately than an alt-country kick, and that’s the kind of thing that changes every four or five months anyway.